Environmental graphics reinforce and develope a brand's image and assist a visitor navigate a space with unique visuals which integrate seamlessly with the surroundings. 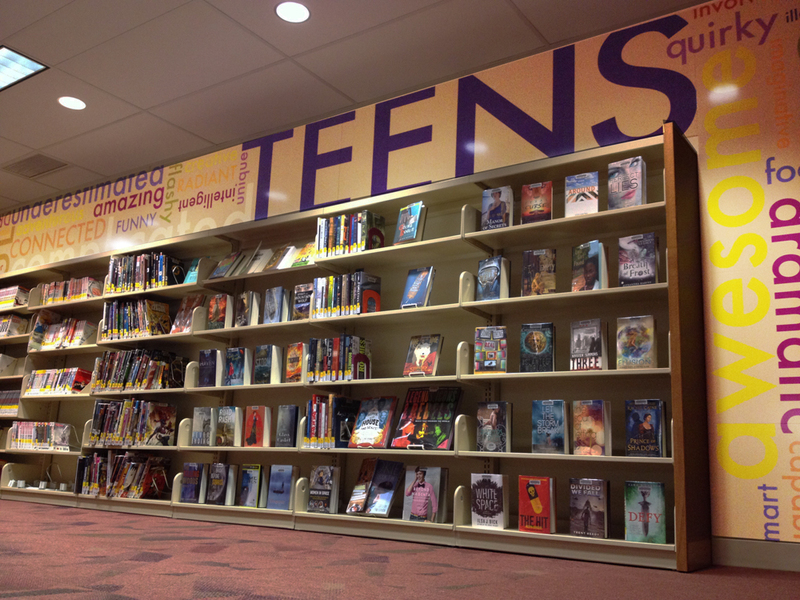 The Granville Library commissioned this wall graphic for their Teen Area. Words were selected by the youth to describe themselves then designed in to the space working within their existing graphic standards and interiors palette. A small italian and deli located in downtown Columbus, Caffe Reggio's interiors were designed down to the smallest details. 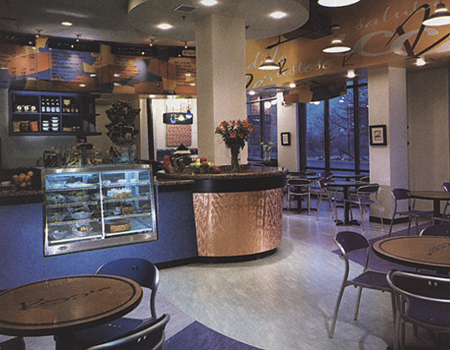 Extended use of environmental graphics were incorporated at all levels from the custom wall coverings, to menu boards, to table tops, to vinyl flooring. Unique signage inside and out promoted the business. The project was highlighted in the international trade magazine VM&SD (Visual Merchandising and Store Design). Working with Cameron Mitchell Restaurants during the concepting of the now nationally located Columbus (Mitchell's) Fish Market, Mitchell's Steakhouse and Mitchell's Ocean Club, timeless environmental graphics were created. Working with Bravo Brio Restaurant Group, logo, signage and enviromental graphics were designed for BRIO which now has over 25 locations across the country. For both clients sculptural pieces, way-finding graphics, monumental exterior signage all heighten the visitors' enjoyment of the space and their overall experience while promoting the brand on a broader level.